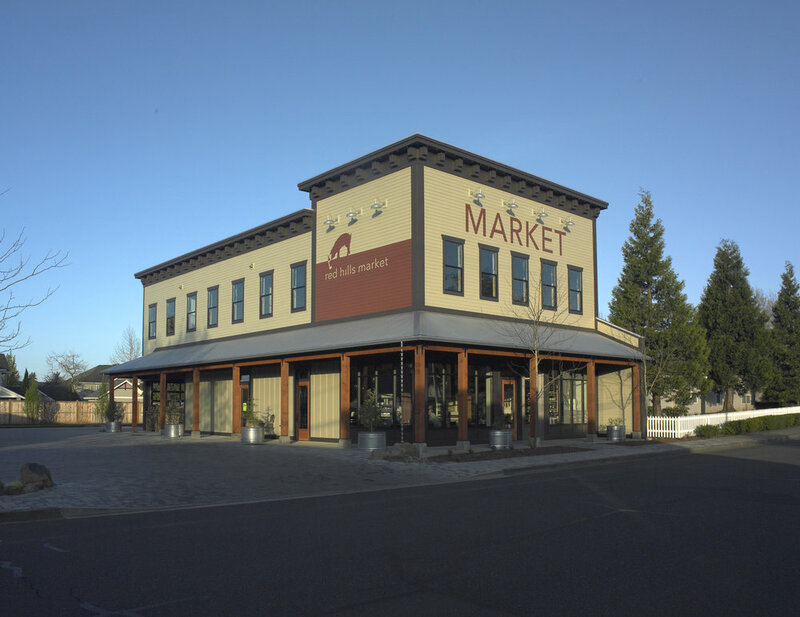 Red Hills Market — Brittell Architecture, Inc.
Red Hills Market has become a major attraction within the City of Dundee. 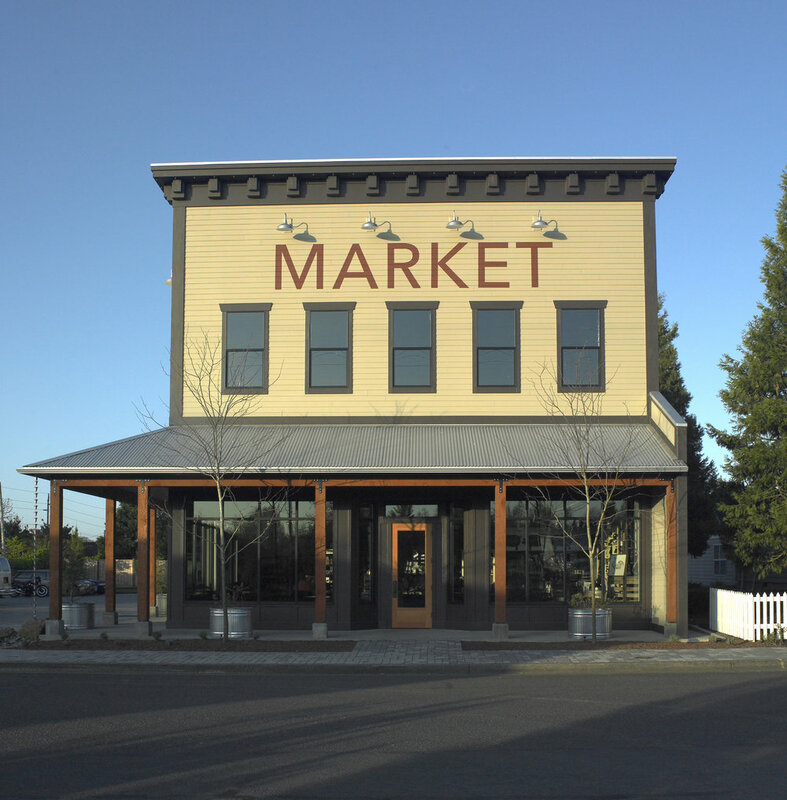 The market provides access to local farm products, and the kitchen includes a wood-fired pizza oven. Situated in the heart of wine country, the facility offers wine tasting and sales from the surrounding wineries. Planned future expansions include a tasting room on the second story as well as a single unit hotel room. The design concept was to return to old world architectural sensibility, with main level storefronts and upper level mixed uses. Many sustainable building products were used including pervious pavers, chain downspouts that provide irrigation for the plantings, and white TPO roofing at the flat roof. The new building is two stories, wood framed, and approximately 5,400 sf. Exterior photos by Monroe Photography.